Highland Hospice has revealed a first look at its brand new Inpatient Unit which is set to open its doors to patients on 17th November. The new Unit has been developed by Morrison Construction since June 2015, when the previous facility was demolished. Since then, the hospice’s Inpatient Unit service has been operating from its temporary base in the Fyrish Ward of Invergordon Community Hospital, with its Day Hospice relocated to Cradlehall Business Park. At over 25 years old, the previous Inpatient Unit had only four single rooms and two three-bedded rooms all of which were smaller than current guidelines recommend. Spaces for family and staff were also restricted. With nine single en-suite rooms and one three-bedded room, the new Unit offers greater choice and vastly improved privacy and dignity for patients. Work spaces for clinical staff have also been greatly improved, meeting modern healthcare specifications. All single rooms are now large enough for a family member to stay overnight with their loved one if desired, and the facility provides additional much needed family accommodation enabling friends and relations to relax during the day and stay overnight if they wish. The facility also provides dedicated bereavement support rooms for face-to-face, group and telephone counselling for the first time since the service was launched in 1994, as well as a unique Sanctuary for patients, relatives, staff and volunteers to take respite from the challenges they face. An enlarged art and craft room offers improved Occupational Therapy opportunities, and there is also a bigger suite for physiotherapy. Additionally, there is the space and technological infrastructure needed to support the growth of a Virtual Hospice allowing greater access to Hospice services in more remote and rural communities of the Highlands. 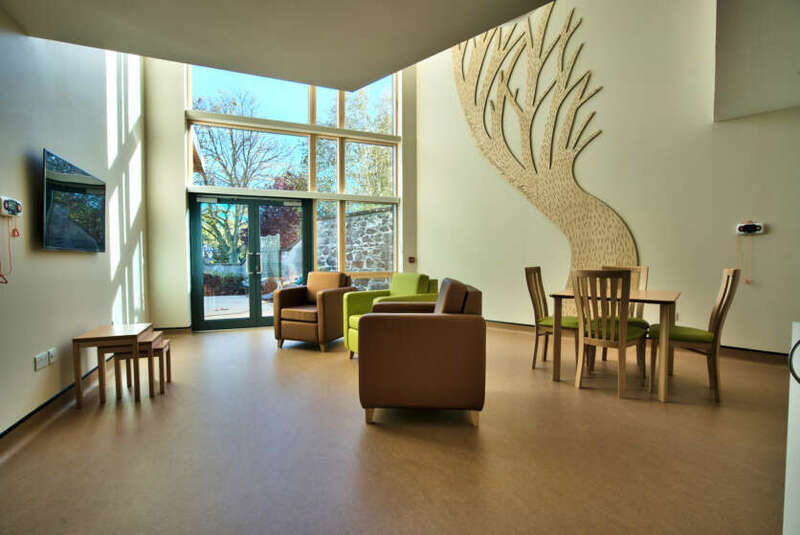 An initial £3 million of Hospice reserves was put in place to fund the facility, with an additional £4.3 million having been raised to date through the charity’s Project Build Appeal which has been running since 2014, receiving a phenomenal level of support from Highland communities and businesses. Supporter Emily Beavis has been backing Project Build Appeal since it began. Her daughter Dawn spent four weeks in the Highland Hospice Inpatient Unit before she sadly passed away in April 2013. For more information on Highland Hospice’s events and fundraising opportunities please visit www.highlandhospice.org or call the Fundraising Team on 01463 246473.